Abbeville Cushion, Small Bench | Great Little Trading Co. 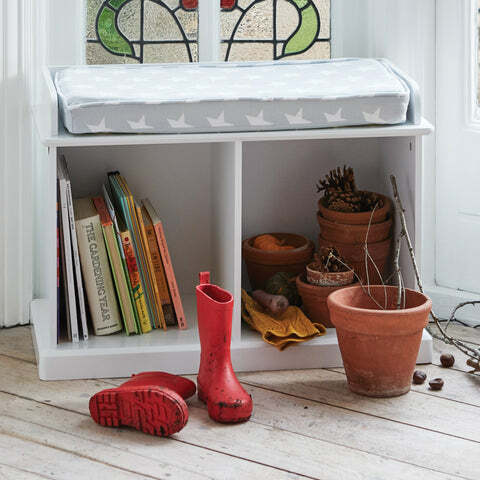 This neat cushion is designed to fit the Abbeville Small Storage Bench; it currently only comes in our Grey Star design to match the white bench. 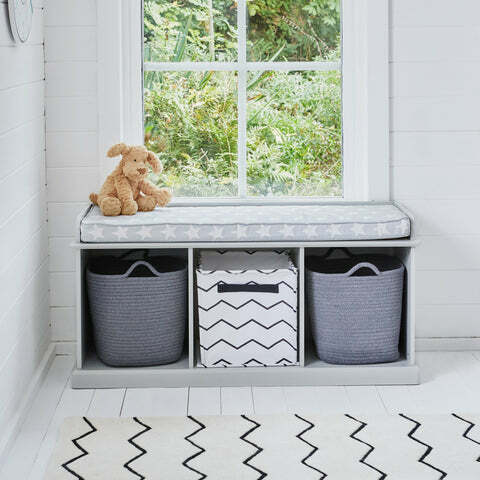 Team it up with our Storage Cubes or Rope Storage Baskets. This cushion also comes in a larger size to fit the larger Abbeville Storage Bench; choose from Natural or Grey Star.